... 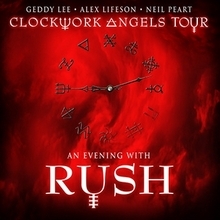 Rush will start its Clockwork Angels tour on September 7, accompanied by a string section to recreate some of the new album's songs as well as some of the group's older material. Alex also mentioned in his Humble and Fred interview that the band was currently in pre-rehearsal mode and would be going into full band rehearsals on July 23rd. All four of Geddy's video interviews this week were extracted from the same Roadrunner Records session where several other recent Geddy Lee interviews were taken. Roadrunner has been releasing portions of the full interview one segment at a time to different magazines/websites. Hopefully we'll be able to watch the entire thing at some future point. In one snippet that was posted at the Prog magazine website, Geddy talks about Rush's relationship with their fanbase. In another snippet posted at the All Axess site, Ged talks about the reasoning behind remixing the versions of the songs Caravan and BU2B that appear on the Clockwork Angels album. 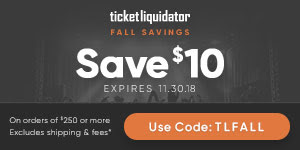 In a video posted yesterday at MusicRadar.com, Geddy talks about how the Time Machine tour delayed the release of the new album. And Roadrunner posted a video to their YouTube channel yesterday where Geddy talks about British comedy. The album is also up for Album of the Year in Prog Magazine's Progressive Music Awards which will take place in September. To vote for Clockwork Angels go to this link. In my last poll I asked everyone what their favorite song off of Clockwork Angels was so far. The clear winner with about one-fourth of the vote was The Garden. Coming in 2nd with 18% was the title track, and battling it out for 3rd was The Anarchist, Headlong Flight and The Wreckers with between 11-13% of the vote. You can see the complete results here. For my next poll I thought I'd ask everyone how Clockwork Angels stacks up against other Rush albums. Do you think it's the best since Moving Pictures? Best since Counterparts? Best ever? Worst ever? Take the poll and let us know. You can download your copy at this link. Rush's 20th studio album features all the classic elements that have endeared the band to several generations of fans and made them the most successful progressive rock group of all time! The book contains all the songs faithfully transcribed in authentic guitar TAB, beautiful full-color artwork, and a complete lyrics section. Titles: Caravan * BU2B * Clockwork Angels * The Anarchist * Carnies * Halo Effect * Seven Cities of Gold * The Wreckers * Headlong Flight * BU2B2 * Wish Them Well * The Garden. There's also this sample pdf that the publisher has made available online. Alfred Music Publishing also has several other Rush guitar, bass and drum transcription books available which you can check out here. You can check it out online at this link. 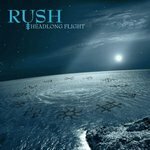 Rush's Headlong Flight single continues to move up in the top 10 on the rock charts. It's currently up one position from #6 to #5 on the Mainstream Rock Charts this week. Yesterday John at Cygnus-X1.net posted the ninth installment of his Rush: A Brief History of Time series where he compiles scans and transcriptions of old Rush articles. You can check this latest batch out at this link. Also be sure to check out his chronological listing of all the collected articles from the series at the bottom of the page. This batch includes 118 new articles; 73 from the 80's, 17 from the 90's, 7 from the 2000's and 21 from the current 2010 decade. 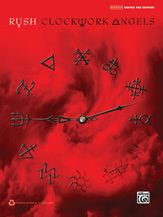 The majority of the earlier articles focus around the release of Signals and Grace Under Pressure while the latest articles focus on Snakes & Arrows and, of course, Clockwork Angels. Thanks John! Honestly, at this point in the year there wasn't much of a choice. Rush had not released an album in over five years and while the band has never been bad or even remotely mediocre, I felt that Snakes & Arrows was a little bit uninspired compared to the rest of the band's work. As such, I was looking for the venerable Canadian rock gods to deliver and to say they did so is an understatement. To me Clockwork Angels is, without any exaggeration, the band's best album in at least a couple decades. The group delivered a more focused and impressive effort here, loosely written around the idea of a man on a quest to follow his dreams. Neil Peart's lyrics are some of my favorites of his pretty much ever and the band's sound is just as good as they've ever been. There are a lot of bands who have lost their way well after they reach the ten year mark or even fifteen, buried under the weight of their back catalogue and impossibly high expectations. Rush has been rocking for over forty years and is still going as strong as they ever have before. The best Rush album in a while, Clockwork Angels takes everything that made the Canadian prog-rockers great - Geddy Lee's voice soars, Neil Peart's signature drums are super tight and Alex Lifeson's killer guitar skills are razor sharp - and amps it up a notch. Great hooks, great concept, great record. 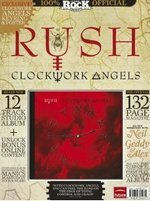 Matthew Surridge of fantasy/sci-fi magazine Black Gate recently wrote a 3-part series of blog posts on Rush and their Clockwork Angels album. 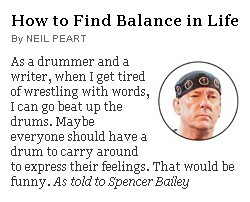 The first two posts deal mainly with Neil Peart's development as a writer, and the third looks closely at the new album and how it treats certain themes and images that have often recurred in his lyrics. You can check out part 1 at this link (part 2, part 3). 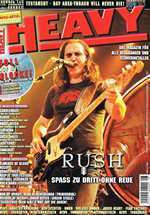 Rush is featured on the cover of the July/August edition (issue #141) of German magazine Heavy. Included is a 5-page interview with Geddy Lee along with a 11/12 review of Clockwork Angels. Thanks to Heiko K for the heads up and cover scan. Earlier this week Eric at Power Windows posted about a Rush reference in the latest episode of Cartoon Network's Aqua Teen Hunger Force. In the episode Shirt Herpes (season 9, episode 3), Carl tells Shake about his Interplanetary Insanitarium fantasy world as depicted on his t-shirt, where after stealing the bass axe from a demon, he continued the bass solo, from a, it was like a Geddy Lee deep cut, Moving Pictures, maybe it was YYZ, I dunno... You can watch the episode on YouTube here. The Geddy reference comes in at about the 2:40 mark. Phil Simon is a sought-after speaker, author of four management books, and a recognized technology expert who consults companies on how to optimize their use of technology. He also is a huge Rush fan that loves to stick a bunch of Rush references in all of his books. He was recently a speaker at Inspire Vegas, an event run by Delivering Happiness. His topic was how Rush inspires me as a writer. Phil talks about how he shares some of the same core values of the band, including a desire to put out his best work on my own terms. You can check out a video of his talk at this link. Earlier this week Eric at Power Windows posted about the Rock & Brews restaurant franchise and how there is a huge Rush starman logo filling an entire wall of their LA location. Gene Simmons is part owner of the new franchise, and the first restaurant opened April 3rd in Los Angeles. The event benefited the Rock 4 Vets program, and was featured on the Gene Simmons Family Jewels episode KISS A Vet this past Monday and also in this YouTube video. You can check out a screen cap of the event depicting the starman logo here. Reader George let me know that guitarist Alex Skolnick of Testament has been sporting a Rush shirt in a series of behind the scenes videos for their upcoming album Dark Roots of The Earth which you can check out at this link. Skolnick is a big Rush fan and covered a jazz version of Tom Sawyer for his Alex Skolnick Trio side project a few years back. This year the Microsoft Worldwide Partner Conference will take place in Toronto, ON. Larry Walsh of fledging company The 2112 Group (named after the Rush album) will be attending the conference and posted an article at Channelnomics.com earlier this week describing his excitement that the 2112 Jet will be flying into YYZ. You can check out the article at this link. Jammit! has added The Camera Eye to the list of Rush tracks already available for the Jammit! app which includes Subdivisions, Tom Sawyer, Closer to the Heart, 2112, Limelight and YYZ. The app is now also available for Mac desktops and will soon be available on Windows too. For more information and to listen to some demo tracks, visit the Rush page at the Jammit website. The Jammit app is available for both the iPhone and iPad, as well as Mac Desktops. Several readers over the last week have sent me this video link of Chicago guitar salesman Alex Chadwick playing a history of 100 guitar riffs in one take. Included on his list is Rush's The Spirit of Radio at #47. You can check it out at this link and the Rush part comes in at about the 5-minute mark. The video garnered so much attention that msnbc.com picked up the story and posted about it last week. Jonathan Mcleod put up a blog post earlier this week at the League of Ordinary Gentlemen site titled Canadian Content, Bleeding Heart Libertarians edition. He begins the post with the words You know, I kind of hate Rush. He then goes on to quote Neil's recent Rolling Stone interview, and ends the post by saying he hates the song Animate too. Feel free to let him know what you think. Improv comedian Grep Proops (Whose Line Is It Anyway) has a podcast called The Smartest Man in the World. His June 15th podcast (Dents) is taken from a live broadcast from the Improv in Washington D.C. At about the 42-minute mark Grep apologizes to Rush. Listen to the podcast if you dare, and you'll know why. Thanks to James H for the heads up and for sending the email that made Proops apologize. Loblaws, a national grocery chain in Canada, bought Toronto's Maple Leaf Gardens back in 2004, and now have a downtown grocery store on the ground level. Reader Patrick W let me know that the store has tables where you can sit and eat, and the tables have pictures under plexiglas of a number of famous acts that played the Gardens over the years. 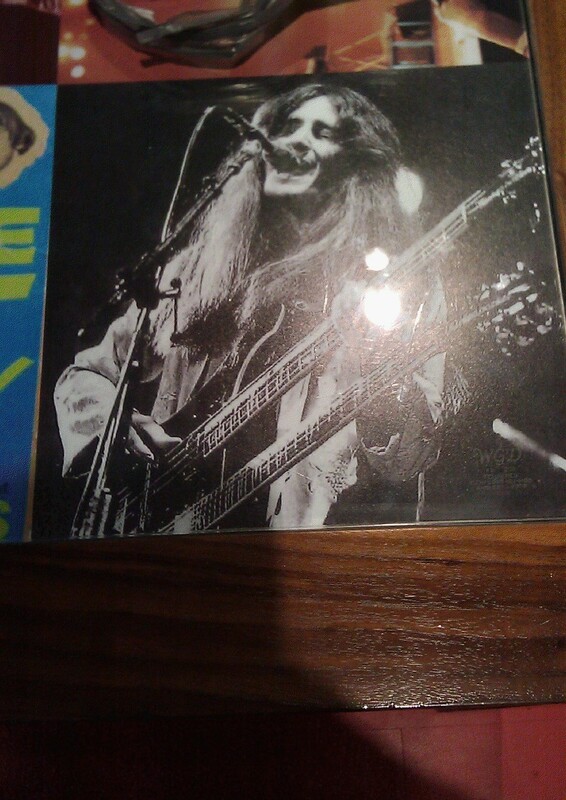 One of the tables includes an old photo of Geddy Lee with his double neck along with a story written by local sports journalist Stephen Brunt. The story is about Nirvana but mentions many other bands including Rush. Tomorrow, July 14th is Bastille Day! 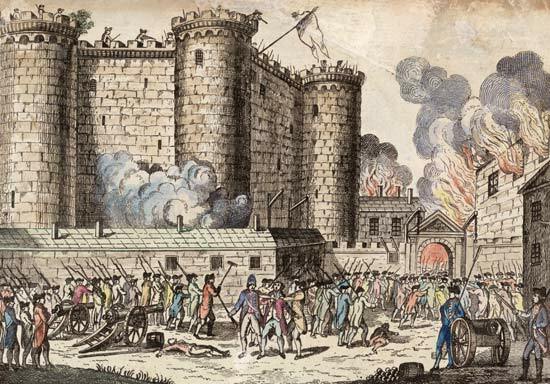 On this day 223 years ago back in 1789 Parisians stormed the Bastille, freeing its inmates and taking the prison's large quantities of arms and ammunition, thereby setting in motion the French Revolution. More importantly, back in 1975 Rush decided to write a song about it. There's no bread, let them eat cake!